21 offers or promo codes added in the last 3 days. 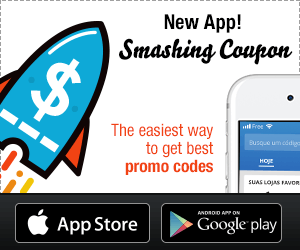 How to take advantage of coupon codes? 2. Find the offer or coupon code that you're looking for. Do not miss any coupon code! Subscribe to web notifications and receive a notification as soon as a promo code is published on the site. It's simple, fast and you only receive the latest offers and promotions from your favorite shops! Join the thousands of Internet users who have already made this choice to save even more each day. To take advantage of this service, it's easy press here and follow your browser's instructions to activate notifications. Is it done? Perfect ! You just have to wait for our next notitication to start receiving our best tips! Exceptional to find good deals and save a little bit! Very good service that offers good discounts on many brands.